After receiving some exciting news that Django Unchained director Quentin Tarantino was working on another western titled The Hateful Eight, the filmmaker announced that he is putting the project on the shelf because he is “very depressed” that his script leaked online. 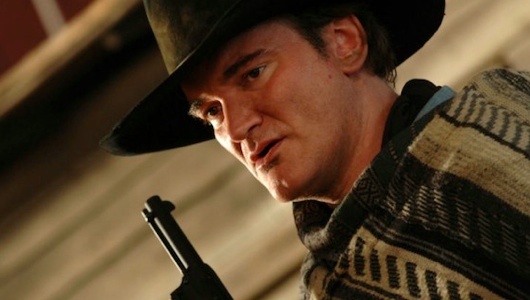 While the The Hateful Eight may be shelved, Tarantino has the intention to turn the script into a novel, and is considering adapting to film it depending on the success of it. Surely something we did not want to see happen to such a promising film that would have starred Nebraska‘s Bruce Dern and Tarantino’s favorite actor Christoph Waltz. Hit the jump to read more about the leak. Deadline was the first to report on the news. In an exclusive interview, Tarantino said that he is “very depressed” about the leak, adding that he just had finished the first draft of the script and intended on shooting it next Winter. It’s quite unfortunate that we won’t get to see another western from Tarantino, and considering he would have been working with frequent collaborators and Bruce Dern, this had a lot of promise – not to say that another Tarantino film won’t have promise, too. Regardless of what happens, Tarantino says that he still has “10 more where that came from,” and that he hopes he can cast Dern in one of those films.